Is the end near for terrorism as we know it? According to a much-discussed Washington Post article that ran on July 26, U.S. counterterrorism officials believe that, after the death of Osama bin Laden and in the face of sustained drone attacks, Al Qaeda’s core leadership in Pakistan is on the “brink of collapse.” However, counterterrorism officials stressed in the article that the threat from “aggressive” affiliates is not diminishing—nor is the threat from “radicalized individuals,” also known as lone wolves. The consequences of this reality, which extends beyond Al Qaeda’s influence to other extremist groups and ideologies, are both complicated and deadly. The question now is what can be done to safeguard the world against them. Both American and British officials have now stated that lone-wolf terrorism, whether inspired by Al Qaeda or by the far right, poses a growing risk to the West. This was made painfully clear by Anders Behring Breivik, who, armed with a gun and some fertilizer, managed to terrorize Norway and murder 77 people in late July. 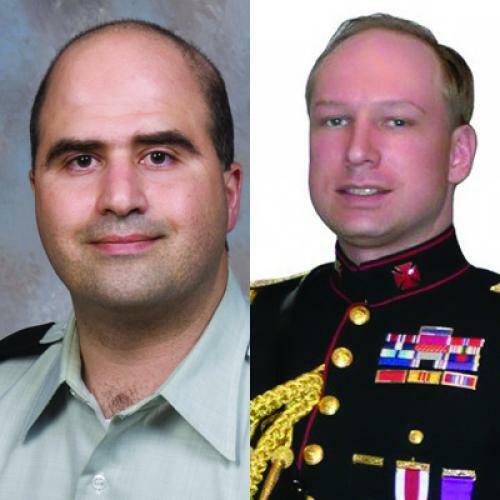 Before him, there was Major Nidal Hasan, a U.S. soldier who, in November 2009, murdered 13 of his fellow soldiers in Fort Hood, Texas. Moreover, a number of lone neo-Nazis and Al Qaeda-inspired jihadists have been jailed recently for attempted murders or planning to bomb targets in the UK. A new report that I co-authored for the Henry Jackson Society shows that 66 percent of Islamism-related offenses in the UK between 1999 and 2010 involved no direct links to terrorist organizations; from 2006 to 2010, critically, there was a steady decline in cell activity resulting in successful attacks or convictions, and a rise in the number of people committing offenses alone or aspiring to engage in terrorist activity. Indeed, the fact that individuals planning or carrying out attacks are often not in direct contact with the core of Al Qaeda or, as in the case of Breivik, a violent, right-wing organization raises serious fears and questions about how countries can best protect their people. It is far more difficult to track individuals than cells of larger groups, not least because people’s radicalization often takes place in isolation at a computer. The expansion of the internet over the last decade, as both the U.S. and UK governments have noted, has “enabled” lone-wolf terrorism and begun to replace “face-to-face interactions.” (AQAP, for its part, has said people can “train at home instead of risking a dangerous travel abroad” to places like Pakistan.) Hasan, for one, was self-radicalized but received spiritual guidance via the internet. Similarly, Breivik was in contact with far-right extremists on Facebook and, hoping that his ideology would gain traction, posted his 1,500-page hate-filled manifesto with detailed bomb-making instructions online a few days before his attack. Generally speaking, extremist material such as Breivik’s manifesto and Inspire are troublingly easy to find and download. SO WHAT CAN be done? For starters, it is imperative that tracking violent propaganda on the internet be a priority for counter-terrorism officials. Making it virtually impossible to access violent material (such as martyrdom videos) has already made headway, with some Al Qaeda forums, for example, being shut down. But new, dangerous sites can and will pop up. This is why countries need to go further and develop counter-radicalization strategies that challenge the spread of both violent and non-violent extremist ideologies. Non-violent extremists may not explicitly call for vicious acts in Western countries, but, as the UK government recognized in its recently revised Prevent strategy, both Islamist and far-right narratives can still act as ideological drivers of radicalization and terrorist activity. In challenging extremist ideas, the British government has made it clear that it will not work with or fund extremist organizations that oppose “values of universal human rights, equality before the law [and] democracy.” (It had previously partnered non-violent Islamist groups.) It has also made clear that extremist ideas should be challenged in public spaces, such as at universities, which have so far done little to challenge Islamist ideas being flouted and have even seen some of its students participate in terrorism. Will other countries follow suit, particularly in light of Breivik’s attack and new intelligence about Islamist lone wolves? Unfortunately, the U.S’s highly anticipated release of its own counter-radicalization strategy already shows that the government is shying away from addressing non-violent extremist ideologies. It does not identify Islamism, for example, as the main driver of extremism and radicalization, and states that it will only tackle violent ideology. Hopefully, the U.S. will revise this stance and countries like Norway, which has also seen the deadly effects of lone-wolf terrorism, will adopt a better strategy, as well. If lone-wolves are going to be tackled in any substantial way, it will be both by addressing violent propaganda online and also collectively challenging the root of the problem: the ideology of extremism. Houriya Ahmed is a research fellow at the Henry Jackson Society, a London-based think tank.